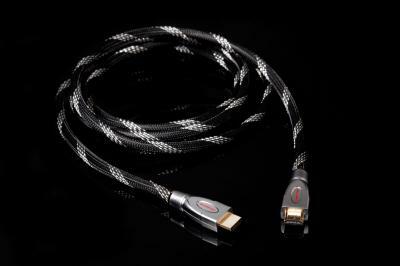 HDMI Black Silver Hi Speed: New cable HDMI certificate on all parameters v. 1.4, has passed ATC TESTING (1.4 HDMI). Technology Exclusive 4 VRC (4 times copper cooked ? no other manufacturer uses this unique machining ). Design, Design and the materials are completely made in Italy, Assembly with automated control machines for a reduction in costs is made in China. available in various sizes of 1 ? 2 ? 5 ? 10 ? 20 meters is an exceptional cable highly aggressive compared to the cost of the product. Surely the colour rendition is exceptional and unknown in this price range. In a word: "BEST BUY"